Onsen (hot springs) is defined as natural hot water or vapor that is geothermally heated and must contain at least one of 19 designated chemical elements. It is said that Onsen have various medical effects. Since early times Japanese people believe that a good soak in Onsen prevents diseases and helps you stay healthy. It can be said that Onsen is a long-term treatment for chronic diseases. “Onsen medicine” can be a support of modern medicine that, in contrast, treats acute diseases. Nature of springs: Our hot spring contains minerals including sulfate, calcium, magnesium, and chloride and has a very strong acidity level with a pH of 2.9. The strong acidity of our hot spring corrodes accessories made of silver and affects the color of clothing. 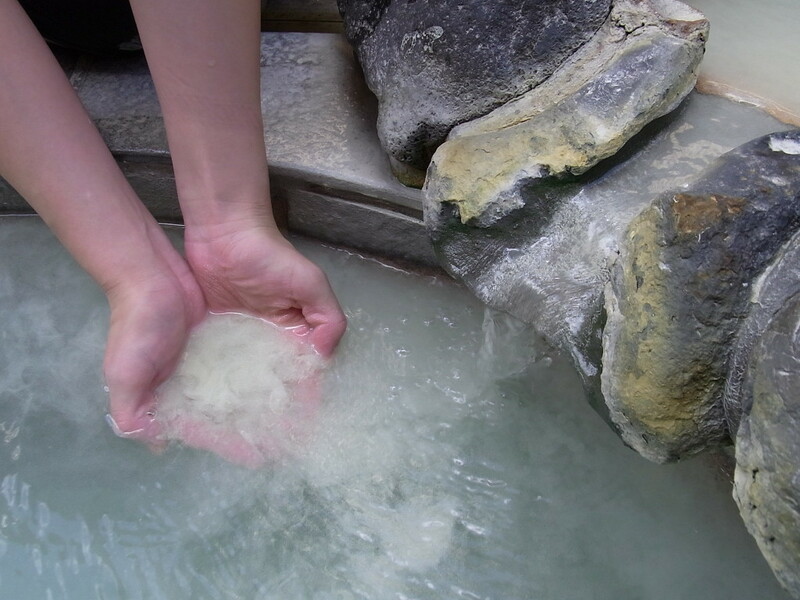 Therefore remove all jewelry and clothing before you enter the hot spring. Effect-efficacy: nerve pain, muscle ache, frozen shoulder, motor weakness, stiffness in joints, bruises, sprains, chronic digestive disorder, intolerance to cold, recovery from illness, improving general well-beings, chronic skin disease, wounds, burns, arteriosclerosis, soothing effects. Our onsen is opaque and is white in color. We try to keep the temperature constant for your comfortable bathing. 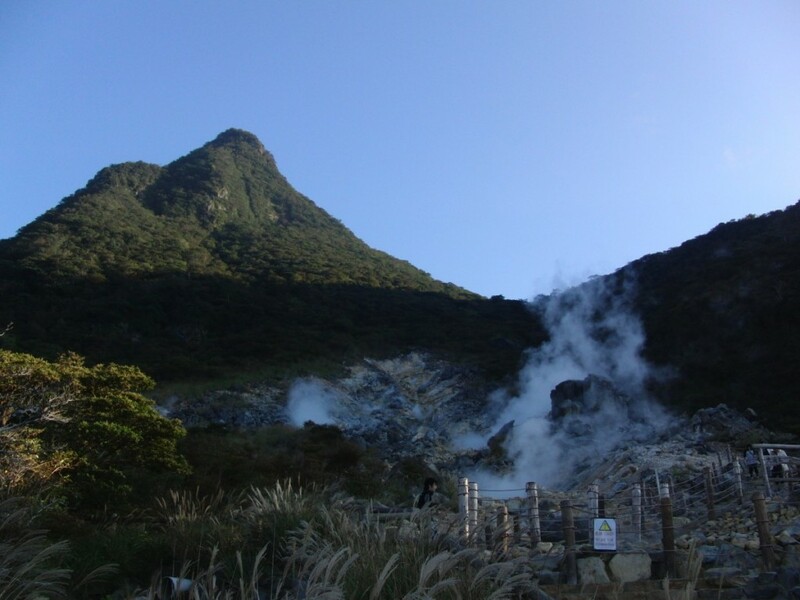 However, the color and the temperature may be slightly different each day since our hot spring is natural. 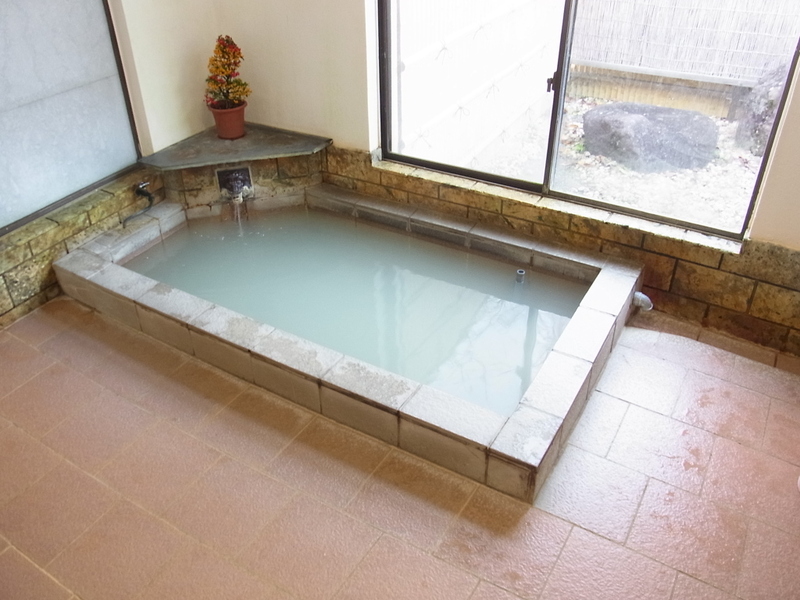 Our hot spring will relax you after enjoying your Hakone exploring! There are many accommodations which have Onsen (hot spring) in Japan, but most of them are public use, or it costs extra charge for using privately. 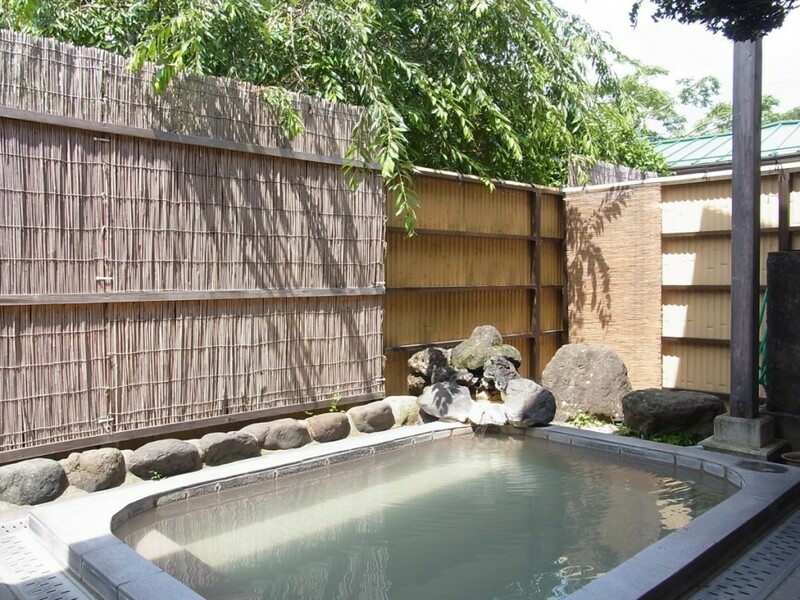 As for our private use Onsen, the fee of the indoor hot spring bath is included in the room rate and the outdoor hot spring bath costs only 500 yen (per person per 30 min./ 30 min. per room). It’s rare to enjoy private use Onsen at a reasonable low price. You can enjoy private use Onsen (hot spring bath) here if you are one day trip visitor to Hakone. Available hours : 11:00 a.m. to 15:00 p.m.
*Rental towel is 300 yen. *If you would like to use except for above available hours, please inquire to us.